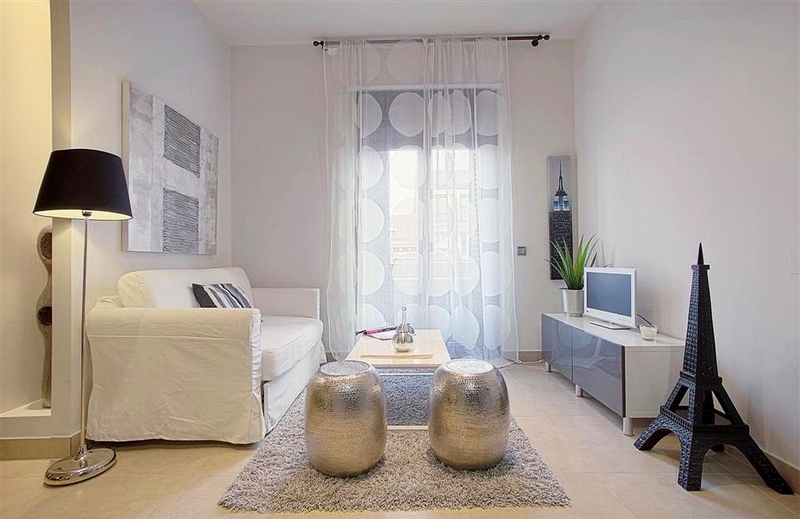 Rent luxury apartment in the center of Seville, and other cities like Madrid or Granada. Book your apartment now. 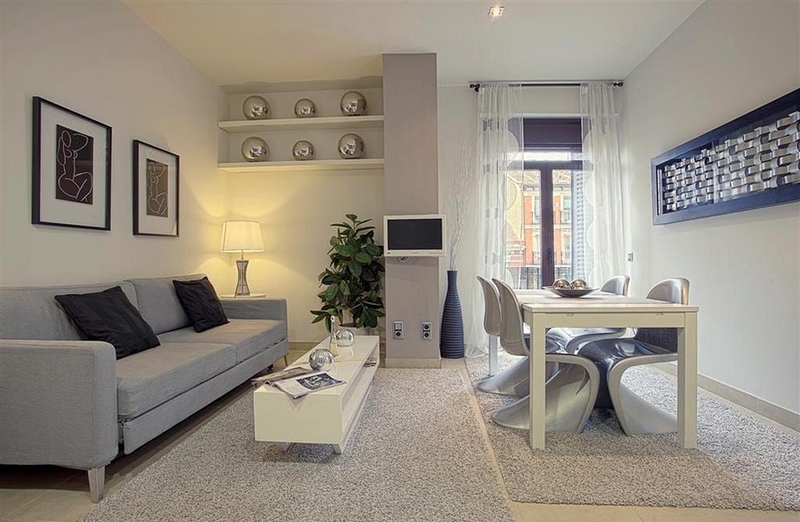 Best luxury apartments in Madrid rental is in Genteel Home. The Spanish capital offers many dining, cultural and entertainment for your most exclusive holiday activities. 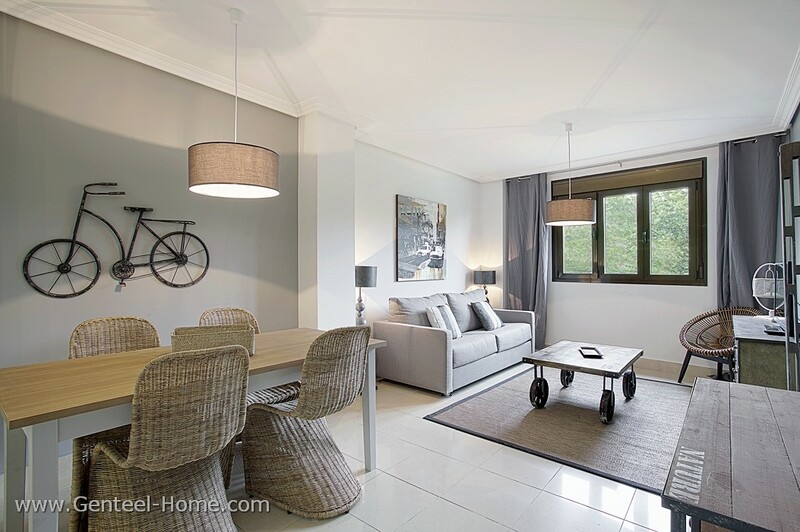 Visit Madrid and enjoy a unique stay in our luxury apartments; Here you´ll find all our available apartments, penthouses and luxury lofts. 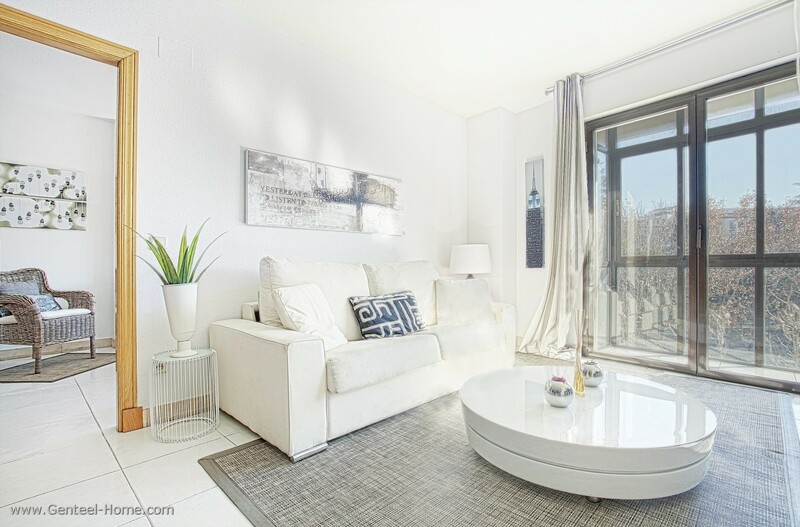 Beautiful penthouse recently renovated and a few meters from the Reina Sofía Museum. 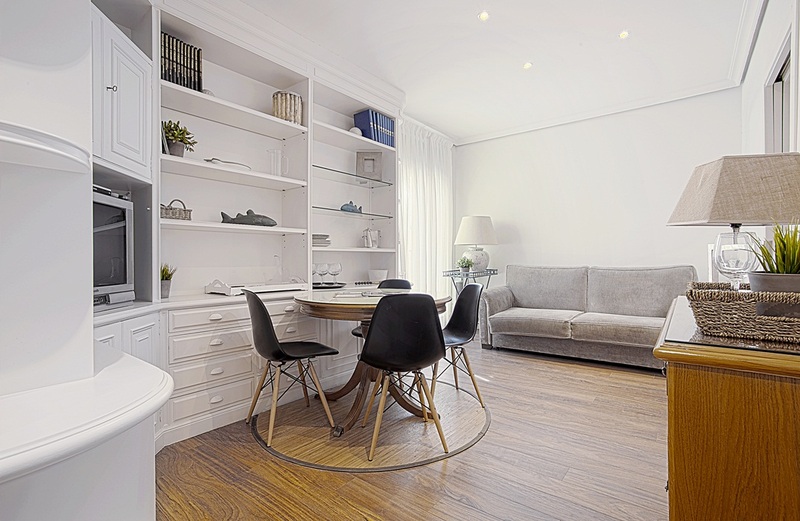 While you are staying in one of our luxury apartments in Madrid, Genteel Home encourages you to consider going on a short trip to other nearby places. Therefore, not only will you get to know the Spanish capital, but also you will have the opportunity to get to know better the outskirts. That is why we are aiming at making the search easier for you and we have narrowed the search so that you can visit the most outstanding places. Below you will find detailed information on each of these destinations: main tourist sites, gastronomy, a little bit of history and culture…everything you may need so that you do not lack reasons for visiting them. One of the best excursions to be made from Madrid is visiting El Escorial. Designated as a UNESCO World Heritage site, El Escorial was the political center of Philip II of Spain’s empire. In this place he organized his palace, his library, his vault and his family’s, in addition to a big basilica and a monastery. The pictorial activity displayed at the monastery, apart from the one in the rooms of the palace within El Escorial, was created by distinguished Italian painters. Furthermore, some pictures are to be highlighted, such as several paintings by El Bosco, a large collection by Venetian masters from the 16th century, several paintings by El Greco, as El martirio de San Mauricio (martyrdom of Saint Mauricio) and La Túnica de José (Joseph’s Tunic) by Velázquez. The so-called palace from the 18th century is decorated with tapestries made on Goya cards and with furniture after Charles IV’s time. As for sculpture, Monegro’s sculptures made out of bronze and artworks by distinguished Italian painters from the 16th and 17th centuries, among which there is one by Bernini, although the one to be highlighted is the one worked by Cellini. La Casita del Infante at El Escorial, also known as Casita de Arriba (upstairs little house), is a little country house with Italian-style gardens, arranged in descending terraces from where you can take pleasure in one of the most beautiful views of the monastery. La Casita del Príncipe or La Casita de Abajo (downstairs little house) was built in 1772 for the Prince of Asturias, Charles IV, by the most renowned architect of the Spanish neoclassicism, Juan de Villanueva. The architectural composition of this building recalls his most famous construction, the Prado Museum, in Madrid. Visiting Aranjuez is one of the trips you should go on during your holidays in Madrid. Located between the rivers Tajo and Jarama, Aranjuez was the royal residence in times of the Catholic Kings. Philip II ordered the same architects who built El Escorial to build this palace. The construction ended under the reign of Ferdinand VI, with the inclusion of two wings in Charles III’s time. The current decoration of this palace mainly gathers components from the 18th century, among which there are the Gabinete de Porcelana (china cabinet) and the Salón de Espejos (hall of mirrors). It is advisable to go for a walk in its garden, known as Jardín de la Isla (the island garden), surrounded by Tajo river and “la ría” (sea inlet), a canal of this river that separates the area. This place is decorated with fountains from 16th and 17th centuries mainly from Italy. During the 18th century, the Kings of Spain enlarged the Real Sitio de Aranjuez with new constructions and refurbishments. Among the most significant ones there are the jardín del Príncipe (Prince’s garden), with its architectural works and the doors that access it; the Fuente de Apolo (Apollo’s fountain) or the pond with its classic and Chinese-like bandstands, which were designed by Juan de Villanueva, who also built the mansion known as Casa del Labrador (farmer’s house). This is one of the most important architectural ensembles in Europe. In the garden there is the Museo de Falúas Reales, where one of the most spectacular recreational craft collections belonging to the kings of Spain can be found. As a whole, this is the most significant and characteristic Spanish garden from Habsburg Spain. On El Pardo hill, located in the north of Madrid, one of the residences of the Spanish royal family can be found, although nowadays it is mainly intended for hosting foreign Heads of State, who are on an official visit in Spain. Visiting el Palacio Real de El Pardo (El Pardo royal palace) is another interesting excursion you can go on if you stay in one of our luxury apartments located in Madrid. From the Middle Ages, this hill still keeping a large ecological richness, was of use to the Castilian kings. Over the centuries, a small town was created. There, there are the Casita del Príncipe (Prince’s house) and las Concepcionistas Franciscanas and los Capuchinos monasteries, founded by Philip III. Here there are still artworks as el Cristo Yacente (the lying Christ), sculpture by Gregorio Hernández as well as la Virgen de los Ángeles (virgin of the angels) by Francisco de Rizi. In the first half of the 15th century, Henry IV ordered to build a small castle, which was rebuilt by Charles I in 1553 and it was finished in 1558, under the reign of Philip II. El Pardo palace inherited the general distribution of this medieval castle, adorned with towers and surrounded by a moat. The interior decoration of El Pardo palace gathers the tapestries as the main element. These tapestries were made in the Real Fábrica de Madrid (Madrid royal tapestry factory) and the most outstanding ones are the ones by Goya, who made five of his most famous series for this enclosure. Furthermore, the most significant preserved artworks are the Retrato de Isabel la Católica (portrait of Isabella I) by Juan de Flandes and the Retrato de Don Juan José de Austria a caballo (John of Austria on horseback) by Ribera. The interior decoration is composed of relevant pieces of furniture from the 18th and 19th centuries. Located a short distance away from Madrid, there is Alcalá de Henares, a city that, thanks to its streets full of history and unique places, has received the recognition of World Heritage site. Traces of the once medieval city still remain, as can be noticed by looking at Calle Mayor, consider to be the largest colonnade main street in Spain. Among the most outstanding sites of interest in this city, there are the Capilla de las Santas Formas (las Santas Formas chapel), located in la Iglesia de Santa María (Santa María church), la Torre de la Catedral de Alcalá (the cathedral of Alcalá tower), el conjunto del Colegio Mayor de San Idelfonso (the ensemble of San Ildefonso college) and the Rectorado de la Universidad de Alcalá (rectorate of Alcalá university), as well as many other colleges that are part of this unique university ensemble. The Palacio Arzobispal (archbishop’s palace), the antiguo foro monumental de la Ciudad Romana de Complutum (old forum of the Roman city of Complutum) and the Monasterio de San Bernardo (San Bernardo monastery) among others are tourist attractions as well. The cuisine in Alcalá de Henares is one of the richest and most varied cuisines in the region of Madrid. This richness has its foundations on the Spanish Golden Age (16th and 17th centuries) and the cuisine transmitted by Miguel de Cervantes in Don Quixote. There is no better place where you can enjoy a unique cuisine than the streets of Alcalá de Henares, full of history and places that have received the recognition of World Heritage site. The gastronomy in Alcalá de Henares is old and modern at the same time, quality and willing to meet all the tastes and preferences of the tourist. This is explained by the countless events celebrated throughout the year, such as the Semanas Gastronómicas (gastronomic weeks) and the well-known Ruta de las Tapas (tapa crawl). The most important part in the gastronomic offer of Alcalá is the pastry-making, which offers products like the caramel-coated almonds, the costrada de Alcalá (cream pastry with meringue), the migas con chocolate (crumbs with chocolate) or rosquillas (doughnuts). Declared World Heritage Site by UNESCO in 1986, the city of Toledo is located approximately 70 kilometers away from Madrid. 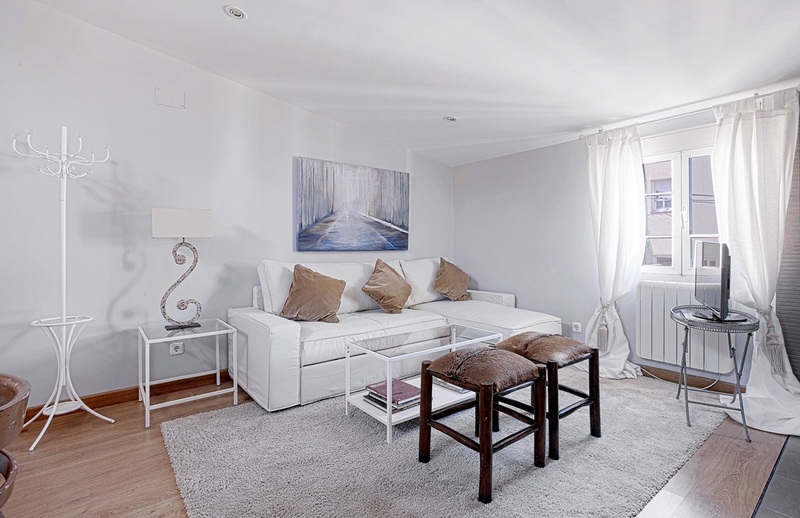 Visiting Toledo is another possibility if you are staying in one of our fantastic luxury apartments in Madrid. Toledo still preserves the look of medieval city thanks to its walls, bridges and fortified towers; mosques and monasteries; churches and synagogues. In Toledo there are a number of monuments, as well as those spots and places that make that getting lost in its narrow streets, squares and gardens is a unique experience. Among the most characteristic sites of interest in the city of Toledo these can be found: the Cathedral, the Mezquita del Cristo de la Luz (mosque) , la Sinagoga de Santa María La Blanca (synagogue), el claustro gótico de San Juan de los Reyes (Gothic cloisters), el convento Santo Domingo el Antiguo (monastery), la Iglesia de Santo Tomé (church that houses The Burial of the Count of Orgaz by El Greco) and the Alcázar (castle). From the exterior of this building, you will be able to take pleasure in the amazing views of the city of Toledo. On the other hand, there are the doors that give access to the city (Puertas de Bisagra, del Sol, Alfonso VI, Cambrón,…) in addition to the extraordinary walls that made Toledo an unconquerable city during centuries. In addition to the must-visit places already mentioned, Toledo offers the opportunity to visit a number of museums, such as the Museo de Santa Cruz (Santa Cruz museum), Museo Sefardí (Sephardic Jews museum), Museo de los Concilios y la Cultura Visigoda (Council and Visigothic culture museum), Museo Victorio Macho (Victorio Macho museum) or Museo de El Greco (El Greco museum) among others. The richness of the cuisine of Toledo is basically based on the hunting and the slaughter. Among the most traditional dishes: partridge casserole (marinated or stewed), carcamusas (beef and vegetables) and rabbit, which can be served “al ajillo” (with garlic), “a la cazadora” (with cognac, white wine, tomatoes…), “carbonero” (grilled), “tojunto” (with onions, garlic, potatoes…) or with rice. Furthermore, remember that near La Mancha there are many renowned cheeses and wines and that, as for pastries, the main confection is the marzipan of Toledo. Another interesting trip you can go on if you come to spend a few days in Madrid is visiting the city of Segovia. Segovia is renowned for its old part of the city and its Roman aqueduct, which have made this city receive the World Heritage title. Also, Segovia is composed of an endless number of Romanesque churches, the cathedral and the Alcázar (castle), which shape a wonderful urban landscape that prevails in the Castilian lands.. Even though the aqueduct is the best-known heritage of Segovia, this city has to offer a wide variety of buildings and sites of interest, such as the Alcázar, fortress that prevails in the city; Plaza Mayor (main square), which is quite hectic; the Gothic Cathedral of Segovia, which has a museum inside; the Calle Real de Segovia, street in the city where there is more commercial activity; the Judería (Jewish quarter), where there is the Sinagoga Mayor (major synagogue, which is now a monastery called Convento del Corpus Christi), or Monasterio de San Antonio el Real (San Antonio el Real monastery), among many other buildings. Apart from the must-visit places such as the Cathedral, the Alcázar (castle), the antigua Sinagoga Mayor (former Sinagogue) or the Monasterio de San Antonio El Real (San Antonio El Real monastery) among many others, Segovia enables the tourist to visit several museums: the Museo de Arte Contemporáneo Esteban Vicente (Esteban Vicente contemporary art museum), the Museo Rodera Robles (Rodera Robles museum), the Casa Museo de Antonio Machado (Antonio Machado’s house) and the Museo Provincial (provincial museum). In Segovia, there are a number of restaurants in the streets that lead to Plaza Mayor (Madrid’s central square), as well as in the surroundings of the Cathedral and Plaza del Azoguejo (Azoguejo square). You can enjoy dishes such as roasted piglet or roasted young lamb or trouts, for those of you who would rather have fish. If it is sunny and the temperature is nice, many restaurants have terrace with awesome views of the monuments. Some of the most remarkable restaurants are Mesón de Cándido (Cándido tavern) or Restaurante José María (José María’s restaurant), where you will have the opportunity not only to taste the delicious roasted piglet, but to enjoy the unique Pago de Carraovejas wine. Another trip you can go on while you stay in one of our luxury apartments in Madrid, is the city of Ávila. Declared a World Heritage site, Ávila hides behind its walls a valuable group of churches and Renaissance palaces, which are the remains of the successful past of this city as a textile production centre. Furthermore, the religious buildings linked to Santa Teresea de Jesús are to remember that Ávila was her birthplace. Among the places to visit in Ávila there are the walls, which are the best-preserved in Spain; the Catedral del Salvador (El Salvador Cathedral); the palaces; the Puerta del Alcázar and the Puerta de San Vicente, which are two huge arcs that lead to the city; the Mirador de Los Cuatro Postes (Los Cuatro Postes viewpoint), where you can contemplate a wonderful panoramic view of the city, in addition to the many other religious buildings. Apart from the must-visit places already mentioned, Ávila offers a wide variety of museums, among which these can be found: the Museo Catedralicio de la Catedral del Salvador (cathedral museum inside El Salvador catedral), the Museo Teresiano del convento de Santa Teresa (the museum of Saint Teresa’s convent), the Museo Teresiano del Monasterio de la Encarnación (museum of Saint Teresa inside La Encarnación convent), the Museo de Ciencias Naturales (museum of natural science) and the Museo Provincial de Ávila (Ávila museum) among many others. The delicious roasts and the beef T-bone steak from Ávila are just one part of the rich and varied recipe book of this region, without overlooking the well-known yemas de Santa Teresa (confection made with egg yolks and sugar), which is part of the list of the confectionery tradition of the region. To complete this triad, there are Judías de El Barco de Ávila (White beans). With the combination of these three dishes we can make an image of the gastronomy in Ávila: made out of agricultural and livestock products. If you need more information on excursions, trips or organized tours to these places, please do not hesitate to contact Genteel Home by clicking here. Our staff will help you with any questions you may have in this regard, since we have an agreement with travel agencies that organize this kind of trips. We are here to help you with whatever you may need in order to help you as much as possible during your stay in Madrid. Madrid can be considered one of the cradles of flamenco as this is where this art expression truly disclosed at national and international level. In the capital there are the true origins of the artists who are now touring the world, thrilling and conveying the strength and passion of flamenco to the public. Therefore, important personalities from around the world come to enjoy these shows in the numerous flamenco ‘tablaos’, where you can also enjoy an exquisite meal. ‘Quejíos’, ‘cante jondo’, ‘sevillanas’, ‘rumbas’, ‘stomping’, ‘clapping’... but always with strength and intensity, a combination that always manage to achieve the same goal: to excite its audience and cause endless of feelings and emotions. In order to boost the development and promotion of flamenco, it’s been constituted the ‘Madrid flamenco tablaos association’, whose promoters are the five of the most important and characteristic flamenco ‘tablaos’ in Madrid: Corral de La Morería, Torres Bermejas, Café Chinitas, Las Carboneras and Las Tablas. They want, in this way, the flamenco to gain the true importance it deserves, not only in the Spanish capital but in the rest of Spain. Madrid is not only a major tourist centre in Spain, but also one of the most visited cities in Europe. This strong attraction is not surprising, as the city has a large and important museums proposal which offers visitors the opportunity to know its History and contemplate valuable works of great cultural content. Therefore, to explore the city as a whole is essential to visit some of its many museums, where tourists lose track of time walking between works of art of great cultural and artistic quality. The galleries highlight, as they contain paintings by such renowned authors as Velázquez, Goya, Bernini, Caravaggio and Picasso, among others. Definitely, one of the most emblematic places the tourist should visit is the Triangle of Art, whose vertices are three of the most important museums of Madrid: the Prado, the Thyssen-Bornemisza Museum and the Reina Sofia Museum. Located less than ten minutes from each other, are placed in the Paseo del Prado, the oldest historic garden declared Asset of Cultural Interest. This way, visiting the Triangle of Art will be like a journey through where you’ll be able to tour the world and the History of Art from the Middle Ages to the present. Because of their importance, these galleries are some of the most visited, growing to nearly six million tourists a year. After six years of work and a budget of 51.7 million euros, the National Archaeological Museum reopens its doors on March 31, 2014. Located next to the National Library and the National Palace Museum Library, at a neoclassical building of the nineteenth century. Covering his spacious sections may be known samples and archaeological finds from prehistoric times to the nineteenth century. These include the Dama de Elche, Lady of Baza, Egyptian mummies and sarcophagi and even a replica of the ceiling of the Altamira caves in a room on the exterior garden. After the renovation, the museum will offer a new much more attractive image, with the aim of bringing its more than 13000 works to everyone, from kids to adults. Another gallery of great importance is the Museo de la Real Academia de Bellas Artes de San Fernando, known by its acronym: RABASF. It is situated at Alcala street, 13; Here visitors can enjoy a wonderful art walk through more than five centuries, from the Renaissance to the twenty-first century. It consists of three floors with a total of fifty-nine rooms comprising works of Spanish, Flemish and Italian art. Includes numerous works of renowned artists such as Picasso or Goya including: Fernando VII on horseback and The Burial of the Sardine. Other works worthy of mention for its high quality and represent the artistic background of the museum are ’Mercenaries Monks’ of Zurbarán, Arcimboldo ’Spring’ or ’Susanna and the Elders’ by Rubens, among many others. One of the richest and most extensive museums is the National Museum of Decorative Arts, located near the Prado Museum, at Montalban street, 12. This museum has a clear purpose, make those who visit it to reflect on the development of artisanal and industrial techniques that have been lost over time. It will be appreciated by numerous relics of great interest of the ’minor arts’: textiles, furniture, ceramics and glass. These are original and unique works, because today most of this wealth has been lost, so this great collection will surprise who explore its 60 showrooms. At the City University of Madrid is the Museo of America, created to show the relationship existing between Spain and America. In it, they are exposed about 2,500 pre-Columbian artifacts, colonial and ethnographic of its more than 25,000, dating from prehistory to the present and from all over the continent. This is a great opportunity for lovers of American culture, it is not necessary to make a long journey to contemplate, your trip to Madrid will be the ideal chance to discover it. Most nature lovers should not miss the National Museum of Natural Sciences, one of the most important institutes of scientific research situated at José Gutiérrez Abascal street, 2. Their main goal is to show the public of all ages their scientific advances in an entertaining way, getting learning and fun at the same time. Achieving this goal is not easy, but it certainly gets this museum through its spectacular exhibitions, such as birds and mammals, amphibians, reptiles and invertebrates. Another museum to spend a good time is the Wax Museum, one of the most characteristic of the city. It’s located at ’Plaza Colón’ and houses different sections, from the smallest child one to terror to the bravest. Its more than 400 wax figures are framed in their typical environments, so there are a wide variety of scenarios such as sports, culture, entertainment...also has various attractions like Terror Train, by making it ideal for an entertaining day. At Serrano street is the Lázaro Galdiano Museum, from private sources. It has an exceptional collection, which is four thousand eight hundred and twenty. Of these, highlight the works of Goya, Bosch, Murillo, Zurbarán and El Greco. One of the most representative works of the museum’s panel is The Young Salvador, whose style is similar to Leonardo Da Vinci. There is also plenty of museums of great artistic interest in Madrid, as the city wastes art and culture through its streets. These include the Sorolla Museum, focused mainly on the works of this painter, but also includes other artists such as José de Ribera; or the Cerralbo Museum which is characterized by its vintage aesthetic, gets astonish the tourist by the large number of paintings, objects and sculptures including some famous authors such as Zurbarán, El Greco and Tintoretto. Those who want to discover the history of Madrid should visit the Museum of History of Madrid, whose cover is one of the characteristics of the Spanish civil Baroque. Located in Calle Fuencarral, it highlights the ’Allegory of the town of Madrid’ by Goya. Other museums in the capital are the Naval Museum, the National Museum of Anthropology, the Railway Museum, the Costume Museum, the National Museum of Romanticism or the Monastery of Barefoot Royals, with works by artists such as Rubens, Tiziano and Zurbarán. As you can see, Madrid is characterized by its impressive artistic heritage that makes the city transport us to different times and places, from Egypt to America from prehistory to the twenty-first century. In short, a city that follows culture at every turn. The different payment methods Genteel-Home offers for booking and renting apartments are exposed above. If you wish to make an enquiry click HERE.